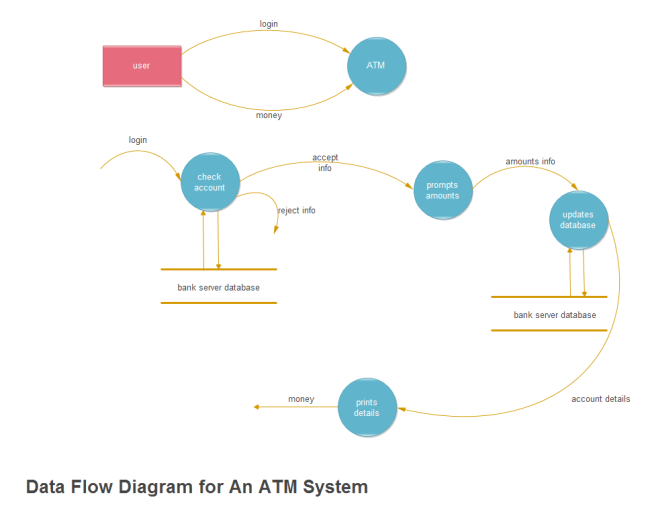 Description: A free customizable ATM system data flow template is provided to download and print. Quickly get a head-start when creating your own data flow. A visual appealing data flow diagram like this could be done in less than ten minutes.